What would life be like without cold beer, ice cream and vegetables? Imagine having to live without medicine. In its 150 year history, refrigeration engineering has redefined several processes including meat processing, brewing, health and so on. ARANER is a key player in the transformation happening in the industry. The diversity of refrigeration engineering solutions may amaze you. Not many people know that refrigeration applications go beyond ice rinks, refrigerators at home and the cabinets stacked in the supermarkets. The truth is that ARANER’s quality and reliable refrigeration solutions are visible in farming, distribution and retail among other segments of the food and beverage industry and the construction of complexes. What do refrigeration engineering services consist of? During the construction of large complexes, such as hotel resorts, shopping malls or hospitals, engineered district cooling offers a cost effective solution for refrigeration, much more ambitious and with better results than conventional refrigeration solutions. In the food and beverage industry, we encounter microorganisms all the time through soil, water, air, foods, beverages and living organisms. Microorganisms include viruses, yeasts and bacteria among others. These microorganisms need a myriad of factors to thrive – food, water, warmth and so on. While we can do very little about the characteristic of food, we certainly can alter the environment to make life difficult for viruses and the likes. This alteration comes in the form of dehumidification, ventilation, cooling, oxygen control, heating and dehumidification. ARANER’s refrigeration engineering focuses on the control of microorganism growth through temperature control. You are probably asking, “Can I get the best solutions?” The answer is a resounding YES. ARANER is your center for the most comprehensive refrigeration-engineering solutions, including modern industrial compressors. Let us review some of reasons the company is an undisputed industry leader. ARANER understands the need for maximum profits for each industry. That is why one of our most important processes is cogeneration. We have perfected the strategy of minimizing energy wastage so that plants make the most profit. 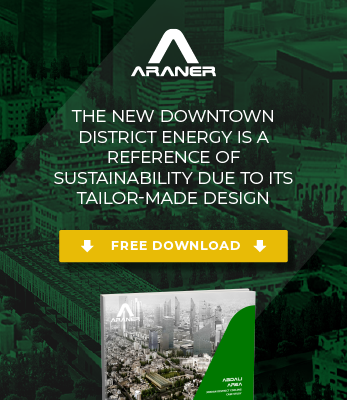 It is not lost on us that one of the biggest costs in the industry is refrigeration equipment; ARANER is also a champion of energy efficiency approaches. It aims its energy optimization strategies more on units, not individual components. This ensures the relevant baseline data is acquired whenever the need to add a component to your refrigeration system arises. Although safe handling of refrigeration equipment is critical, its successful implementation remains a challenge for many providers. This is despite the presence of comprehensive refrigeration engineering safety and maintenance standards. How can ARANER help enhance safety in your ammonia refrigeration system? The team simply eliminates all the safety hazards within your plant. For example, all corrosion prone pipe work comes with a corrosion inhibitor to ensure the highest quality of pipe. ARANER can also help you maintain a calibrated and operable leak detection system by testing the system regularly. Of course, achieving such results requires good hands and equipment. ARANER considers the needs of clients very keenly and ensures they are covered. This includes tailor making the solutions to match needs, like air scrubber systems. Let them demonstrate top-level professionalism and ability by handling your freezing units, cooling units, process cooling, air conditioning and all the other types of cooling systems. This capability applies for all sizes and calibers of projects in any part of the world. It all comes down to our immense experience in the industry and having a highly competent team. With over ten years of experience in the refrigeration-engineering area, ARANER has established itself as a reliable solutions provider for cold storage and processing facilities. Our hundreds of installations globally have helped us amass valuable experience in different refrigerants including carbon dioxide, ammonia and propane. Our industrial refrigeration engineering solutions are energy efficient, following collaborative design procedures using state-of-the-art methods. With full understanding of the changing refrigeration environment, the solutions are not only functionally sound, but also compliant with the existing standards and regulations. Contact the ARANER team today to experience this and more.